What Does it Mean to “Take Part” in a Riot? What does it mean to “take part” in one? An assembly of three or more persons who, with intent to carry out any common purpose, assemble in such a manner or conduct themselves when they are assembled as to cause persons in the neighbourhood of the assembly to fear, on reasonable grounds, that they will disturb the peace tumultuously or will… provoke other persons to disturb the peace tumultuously. The original intention of those assembled is irrelevant. In other words, a lawful assembly can become an unlawful assembly where those assembled conduct themselves with a common purpose in a manner that would have made the assembly unlawful if they had originally assembled in that manner for that purpose. To “disturb the peace” is to interfere with the ordinary and customary use of a public space or premises. “Disturbing the Peace” is not by itself a crime in Canada. It only becomes crime in certain situations, such as where, when gathered in an unlawful assembly, one does so “tumultuously”. The meaning of “tumultuously” has been the subject of some legal debate. After the 1994 Stanley Cup riot, the BC Court of Appeal heard an appeal from a convicted rioter who claimed that the word “tumultuously” was so vague that the entire rioting section violated the Constitution. The court found that although the word “tumultuous” had a broad meaning, “the word ‘tumultuously’ must be read with the word ‘riot’ for each word impacts upon the meaning of the other”. The court concluded that the Criminal Code definition of “riot” connotes elements of violence or force. What Does it Mean to “Take Part In” a Riot? 42. At 10 h 30 p.m., like many patrons of the pub, he decides to demonstrate on Ste-Catherine Street the joy of having a winning hockey team. He wants to be part of that common celebration. That’s the reason why he’s there. But before doing so, he decides to make a detour to buy a six pack of beer at a store on De Maisonneuve Street. 43. After the purchase of beer, he and his friends come back on Ste-Catherine Street which is already jammed with people. People are everywhere, on the sidewalks and on the street itself. 44. He describes the atmosphere, as he is walking towards the point where he was arrested, approximately seven or eight blocks further, as being festive and that one could feel the “esprit de camaraderie”. He sees people in trees or running on top of cars. He also notices a few police officers. 45. Up to this point, this is still mere presence to what is obviously a riot. This is a planned and deliberate presence. Routes were available to leave the area. He choses to stay. That was the plan. This gives the Court a good indication of the moral culpability of the accused which has to be taken into account. 46. But there is more. At 12 h 10 p.m. officer Apestiguy sees the accused jump on top of a garbage can, pull at the “ONE WAY” sign and display a smile after succeeding in his attempt to take off the sign from the pole at the St-Marc and Ste-Catherine intersection. 47. Those acts must be analyzed in the context of the riot. The gravity of the act does not lie in the destruction of the sign itself. 48. The relative minor offence of damaging and removing a “ONE WAY” sign installed on a pole, at the St-Marc and Ste-Catherine intersection, becomes much more serious when it is committed during a full blown riot. His actions have a direct impact on the multitude. His acts encourage others to take part in the riot. It contributes to the excitement, fervour, intimidation and dangerousness of the unlawful assembly. To take part in a riot is by mere presence to contribute to the excitement, fervour, intimidation and dangerousness of the unlawful assembly. Without getting too technical, that view is what lawyers call “obiter dicta” and is not necessarily a correct statement of the law. In any event, practically speaking, in the case of large-scale riots, the Crown has not typically charged any person with this offence who has done no more than be a spectator. There are a number of ways to bring a person before the courts. They fall, however, into two main categories, the first being where a person is already charged with an offence and the second being where the person is not yet charged. If you are already charged, there will either be a warrant issued for your arrest or you will receive a summons to come to court. If you are not yet charged and the police arrest you, they must either release you or bring you before a judge or justice of the peace for a bail hearing as soon as practicable or in any event within 24 hours of your arrest. In British Columbia, in order to bring you before the judge or justice of the peace, charges must first be approved by the Crown prosecutor. (The police cannot lay charges in British Columbia). For this reason, unless the circumstances are very serious or you have a significant criminal record, it is common for the police to arrest you and then release you themselves after serving you with a Promise to Appear in court some weeks later and setting conditions for your release in an Undertaking to the Officer in Charge. These conditions are usually more restrictive than a judge or justice of the peace would impose. If there is some aspect to them which interferes with employment or important personal matters, raising them with the officer who releases you then and there will save the trouble of trying to change them later. These conditions will lapse on the date the Promise to Appear is returnable unless charges are laid by that date. If charges are laid by that date, the conditions will continue to apply until the case is completed. If you wish to have some of the conditions changed, you can either wait until your first court date and attempt to deal with them then or you can bring an application before your first appearance to have the conditions changed. This latter course of action can be a little cumbersome since the Crown prosecutor won’t yet have the file and will have to obtain information from the police before anything can happen. Having a lawyer involved will expedite matters. Most individuals suspected of Taking Part in a Riot are arrested without charges having first been laid. While the police in the case of the 2011 Stanley Cup Riot, for example, have access to photographic and video evidence, they are not always able to identify a suspect to the degree of certainty required to justify, let alone successfully prosecute criminal charges. They invariably want to get a statement from you to fill in the missing pieces. This is why if you are even being investigated for this kind of offence, it is absolutely essential that you seek immediate legal advice from an experienced criminal lawyer before you respond to any inquiry from the police or even any third party such as a friend, employer or even a family member. This is because confessions or admissions against interest only serve to build the case against you. Exculpatory statements are generally not admissible in your defence. In other words, you can only hurt yourself by making any sort of admission – including the fact you were even there – to anyone. Once you are detained or arrested, the police will be extremely aggressive in their efforts to extract a confession from you. The police are specially trained in carefully developed techniques to get you to start talking. You will not win a battle of wits with the police unless you are armed with the tools to counter their efforts. The courts have tolerated a high degree of coercion from the police and supported their entitlement to interview suspects to the point of exhaustion despite an expressed and repeated desire not to speak to them and to exercise their right to remain silent. Many people think that by failing to provide a statement to the police, they appear guilty. This is wrong. The fact that you chose to exercise your constitutional right to remain silent cannot be used as evidence against you. If you are being investigated for Taking Part in a Riot, it is best to say nothing. You have little to gain by helping the police gather evidence to convict you and your statements can be the difference between conviction and no conviction or even between being charged or not in the first place. The police will show you photos and videos and try to get you to admit that it is you in the photographs or videos, that you were in the area that night, that you own similar clothing to the person in the photographs or videos, that you know other people in the photographs or videos, et cetera. Don’t assume the police have a strong case. Even if they do, your answers to certain questions can result in your receiving a more serious sentence than you would had you said nothing. For these reasons, you need immediate legal advice and you need to be empowered with strategies to combat the techniques that the police will use. “Don’t say anything” may seem like easy advice to give. It is not, however, easy advice to follow in the oppressive environment of the police interview room unless your lawyer has also provided you with counter-strategies as to how to deal with the police techniques. While there are technical defences that might arise in the course of any prosecution, the best defence you can hope to have to the offence of Taking Part in a Riot is Identification. Assuming you were not arrested at the scene, the Crown must find a way to prove that you are the perpetrator that appears in the video or photographs. In addition to trying to extract a confession from you that it is in fact you and not someone who may look like you, don’t be surprised if they try to interview friends, family, employers or work associates to see if they can identify you in the images or provide other information about your involvement. Depending on the circumstances, you may also be able to raise a reasonable doubt that while there was a riot, your conduct (such as can be proven), was not sufficiently proximate to the location of the riot to support a finding that you were “taking part” in it. Alternatively, even if your conduct occurred in close proximity to the riot, it may be arguable that the particular conduct cannot be characterized as “taking part” in that riot in accordance with the legal test, one that does remain somewhat vague given the paucity of decided cases on the issue. Note: It is important that you not actively try and dissuade others from speaking to the police about you. First of all, those actions suggest consciousness of guilty on your part and are admissible evidence against you. Secondly, and more importantly, such acts can constitute the distinct offence of obstruction of justice or be a significant aggravating factor on sentence should you be convicted. Third parties are not obligated to speak to the police or cooperate in their investigation. That advice, however, should come from someone other than you. If they ask you what to do, tell them to speak to a lawyer. If we are acting for you, we will either answer their questions or refer them to someone who can. I’ve Been Arrested and Released. What Happens Next? After release, you will be obligated to appear in court on a certain date. This is not a trial date. This is merely a date on which you must appear as part of the intake process of the court. On this date, you will be asked if you have a lawyer or intend to get one. Some initial disclosure of the case against you will also be provided. Once we are retained as your lawyer, we make arrangements so that you do not have to personally attend on the first appearance or any subsequent interim appearances until something significant is going to occur. Since the press is often present at these appearances, most if not all clients prefer to attend court as little as possible to avoid the media coverage. In Taking Part in a Riot cases, the disclosure is often voluminous and complex, including large amounts of video evidence that needs to be reviewed and cross-referenced. Numerous adjournments are common while we obtain full disclosure, review it, and discuss the various options with you. For a general outline of the Criminal Case Process, click here. Taking Part in a Riot carries a maximum penalty of two years in jail. In practical terms, the maximum penalty would be reserved for an individual who was a major “ringleader” or a person with a significant and related criminal record. Taking Part in a Riot brings into stark conflict the principles of deterrence, denunciation and restorative principles. From the point of view of rehabilitation and restoration, most people convicted of this offence are first offenders with no prior record. They are usually young – often students – just beginning their careers. Apart from this one isolated and highly situational event, they have done and are doing what society expects of them and their futures are bright. They pose no danger to the community. They have been more than deterred by the process of being charged itself and by the publicity that has created. While an appropriate sentence should promote a sense of responsibility and amends should be made to the community – say by number of hours of community work service – it would seem obvious that it is in no one’s interest to jail them and saddle them with criminal records. While this is surely relevant and compelling, the law requires that these sentiments be balanced against the need to deter and to denounce. General Deterrence is based on the highly suspect theory that if a clear message is sent that certain conduct has serious consequences – ie a jail term – it will prevent people from engaging in that sort of conduct in the future. It is also felt that a jail term for this type of offence meaningfully expresses the outrage and condemnation that society feels with regard to actions that threaten our social order. It is also viewed by many judges as necessary to maintain confidence in the law. As a result, the Crown has been seeking jail sentences in virtually all rioting cases and the sentences imposed have generally ranged from a suspended sentence to 18 months in jail. For offences at the lower end of seriousness involving, for example, looting a single small item from a store, “conditional sentences” (house arrest) have frequently been ordered. In more serious cases, for example, those involving damage to property, jail sentences are more the norm. Each case is different and the sentence imposed will turn upon the circumstances of the offence, the circumstances of the offender, and the existence of mitigating or aggravating factors. A conditional sentence is a jail term that is served in the community, generally under a form of house arrest that permits the offender to work or attend school. Where a judge has declined to order a conditional sentence but sentenced the offender to a term of imprisonment of less than 90 days, an “intermittent sentence” or one to be served on weekends has been ordered. In deciding whether to order a conditional sentence (as opposed to a sentence of actual imprisonment), the judge must not only be satisfied that the offender does not pose a danger to the public – generally not an issue in the case of a first offender – the judge must also be satisfied that a conditional sentence meets “the purposes and principles of sentencing”. This is where the discretion of the individual judge comes very much into play. In exactly the same case, one judge can order actual imprisonment and the other a conditional sentence and both be within the range of an appropriate sentence. 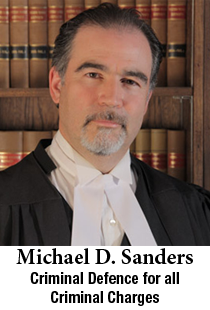 With over 24 years of experience practicing criminal law in Vancouver, we are very familiar with the predilections of the individual judges and can guide you appropriately. In many cases, individuals charged with Taking Part in a Riot will also face other charges. Common examples are Mischief (damaging property), Break and Enter and Possession of Stolen Property. 4. Obstruct, interrupt or interfere with any person in the lawful use, enjoyment or operation of property. There is actually no such offence as simple “Break and Enter”. More is required. A person who has broken and entered a premises must either be shown to have committed an offence while in the premises or have intended to commit an offence when he or she entered. Breaking and Entering a residence is considerably more serious than breaking and entering a commercial premises such as a store or warehouse. In rioting cases, breaking and entering charges will generally relate to stores and other commercial premises. OK, you might say. There’s no evidence I committed any offence when I was in the store. How can the Crown prove that I intended to commit an offence when I entered? The law anticipates this situation by presuming that the reason you entered was for the purpose of committing an offence unless you can point to at least some evidence that you were in there for an innocent purpose. 2. A person shall be deemed to have broken and entered if he entered without lawful justification, the proof of which lies on him, by a permanent or temporary opening. In other words, if you enter a store in any fashion when it is not open for business, you are deemed to have broken and entered unless you can prove you were lawfully entitled to do so. Persons charged with this offence will either be charged with Possession over or under $5,000.00, the latter of course being the more serious offence. The principal elements of this offence are that you are knowingly in possession of an item that was derived from the commission of an offence. Common defences to this charge focus on whether the Crown can prove the property was stolen and, if so, that you knew it was stolen. The statement above is not legal advice. It is simply intended to give a very general understanding of these offence and some of the possible issues and defences that might be considered in defending them. For legal advice on Taking Part in a Riot and any Related Offences, click here.